We know that some of you want to know why or how long an individual has been banned here, but this is for the staff to determine and to discuss with that individual on a one-on-one basis. And please, stop harrassing different members of the staff when they won't give you an answer that you want that does not pertain to you. This is something that happened for a while now in several instances, and we'd love for your support to either wait it out or contact that individual yourself and ask them if they feel comfortable divulging that information. mean mods, bad admins, etc. 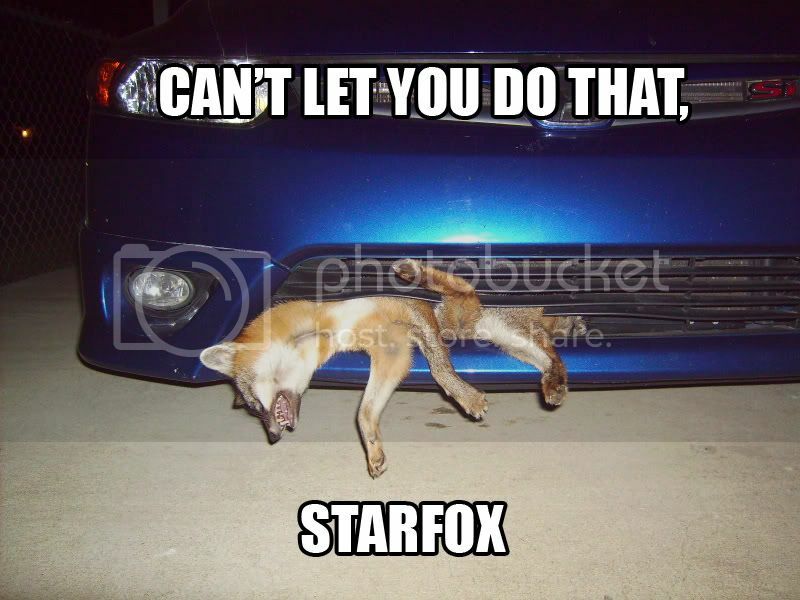 I CAN'T LET YOU DO THAT, STARFOX! hey bros, fox burgers on me!